We are instrumental in offering a quality-assured range of Constant Oilers V-4 & V-8 to the esteemed customers. 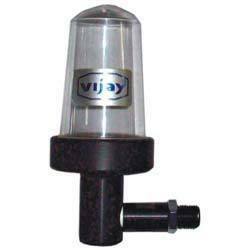 These oilers have polycarbonate (PC) dome, along with suitable aluminum alloy base and elbow. Our customers can also avail these products as per the exact details specified by the esteemed clients. Looking for Constant Oilers ?